If you’re just tuning in, welcome! You’re about to see the GRANDE FINALE on the journey of a lifetime, one taking my family around the world on a surprise trip for my mom’s 75th birthday. From start to finish she’s had no idea where she was going until she received her boarding pass! If we hadn’t had points to take this trip it would have cost $125k, but we were able to do it for roughly $5k total – for all 3 people. In the past few weeks, both of my parents have experienced Cathay First, Singapore Suites, Singapore First, Etihad Apartments and we couldn’t finish this trip just any ole way – I wanted to finish it THE BEST way possible. We’d been really blessed with award availability, and that meant flying Lufthansa First Class from Frankfurt to Dallas was going to be a family affair. BYAH! Seat: 3 seats in the 2nd row. Be flexible on the days you can fly and where you’re willing to route to/through. For Lufthansa, I prefer Singapore Airlines ( transfer partners of Chase, Amex, Citi, and SPG). The change fees are $20. They’re also pretty easy to work with over the phone, and the price for first class is pretty competitive at 80k from Europe to America. Welcome Champagne and red roses. So classy. So what was our process like? This meant that after planning this trip for over a year it would come down to space availability while we were ON the trip. We knew when we wanted to do the tour of the Molinard factory in Grasse, France. That couldn’t be missed. Other than that, we were willing to spend a little more time in Europe if it meant we could lock down a great ride back to the states. We also just wanted to get back to the States, and we didn’t really care about the routing – although we preferred the longest flight possible. My folks needed to be in Phoenix after the trip for a wedding the following weekend which made it easier. ( i.e. if they needed to be on the east coast, it would remove a lot of west coast routing options because it would require backtracking that would violate routing rules) Luckily, we found space leaving from Nice through Frankfurt to Dallas on the exact day we wanted. Several months out I found Austrian Business Class space from Nice to Vienna to LA for my parents. When I booked the Austrian seats for the folks I transferred extra points to Singapore – enough to eventually book Lufthansa First Class seats that we wanted. The reason? Singapore isn’t an instant transfer, and you could lose the space if you don’t have the miles in your account when the space opens up. For me and Miles…we were willing to route any way possible, on any currency, to get home. Worst case… we would have flown separately from my parents, but I actually never had a seat until I booked my Lufthansa First Class tickets roughly 10 days before flying. I can still remember being outside in Bali making the call. I constantly checked space on the United website. 12 days out, 2 seats opened up. We were on the trip. I called Singapore using Skype and switched my folks from Austrian to Lufthansa and locked down their seats in First. Paid $20 per ticket change fee and the additional fees and taxes. The following day, another seat opened up and I snagged it, but I didn’t tell my dad, and instead waited until we got to the Nice airport to surprise him and my mom together that I’d be flying with them to Dallas. I booked my flight to continue onward to LAX on United – my home base. Ta da!! The Champagne. And the bar. Shortly after take-off this is all setup in front of Row 1. To let you know how much we trust Miles in making our trip reservations, we were not booked on this flight until a few days before we were on it. Yes we had another way home as a back-up, but it wasn’t going to be what we would have liked as the final leg in this special RTW celebration trip. As it turned out, it was worth the gamble, and in my opinion, this was the best of our major international flights. The First Class cabin was open and airy with electric retractable partitions to provide privacy when, and to the degree, you wanted it. The seats were wide and easy to adjust to any position from upright seating to lie flat to anywhere in between. The service was very upscale and personalized. Our flight attendant was outstanding…..if not the best we had on our entire RTW trip, easily among the top 3. The flight was just short of 11 hours and I enjoyed every minute of it! My dad isn’t a pj guy. But my mom and I LOOOOOOVED these amazing pjs from Van Laack. Van Laack pjs can sell for upwards of 150 Euros – thanks Lufthansa! This was a wonderfully enjoyable experience! The food was great and the seat and bed were so comfortable!!! We had a wonderful flight attendant!! I am SPOILED by First Class travel!! OH!!! NO!!! My birthday surprise trip is about to end!!!!! I LOVED EVERY MINUTE!!!!!! I’m pretty sure you can tell from my mom’s use of exclamation points she had a good time 😉 We also had caviar and fancy Champagne I don’t know how to pronounce. Who are we?!?! Here’s a look at the Food we enjoyed. Lufthansa’s first class bed is amazing. Big pillow, mattress pad, and a big juicy comforter. I’d say it’s the best bed I’ve slept on in the sky. Miles couldn’t believe he’d done it. This meant that my folks had flown more than the circumference of the world in First Class. Travel has always created exhaustion, fatigue, and stress for my parents, and my mom in particular often gets sick. She made it through the entire trip without a sneeze. I really wanted to show her, and my dad, that the journey can be as fun ( or more fun ) than the destination. It was also really cool to get to do this together, in the same cabin. The icing on the cake was that this ended up being my dad’s favorite flight of them all. 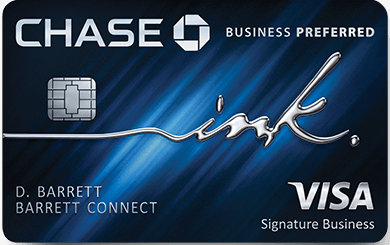 Next Article Is a premium Alaska Visa Signature Card coming? Nice! That’s what I’m looking to do is get a couple of LH F seats out of FRA back to the US. So you did all the return stuff on Singapore? About how long does it take to transfer the miles to Singapore? Your mom looks beautiful in all the photos! I hope to do the same (although may not be in luxury) with my parents next year. Thanks for the inspiration! Congrats! A perfect RTW for your parents…. Thanks James – it was a fantastic trip! Nice! Are the fees and taxes for LH first much higher than what United would charge if you book through SQ? if you don’t mind me asking, how much were you charged for fuel/taxes for each F ticket?